Articles for August 2016 Year » SoftLab-Portable.com - Portable Soft! Easy, high-quality video conversion up to 4K. Create videos to play anywhere. Converter comes equipped with DivX profiles for creating DivX, H.264 and HEVC videos compatible with more than 1 billion DivX Certified devices. iPad and iPhone presets optimize your video for playback on iOS devices. Make it your way. Set bitrate, limit video resolution and file size, combine multiple clips or rotate video before you convert. Even save a custom preset to reuse your favorite settings over and over. 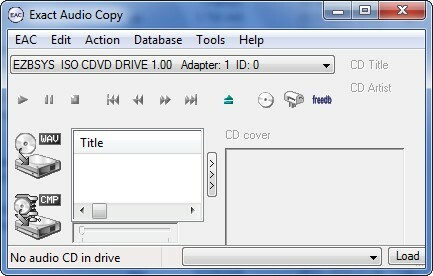 Exact Audio Copy is a so called audio grabber for audio CDs using standard CD and DVD-ROM drives. The main differences between EAC and most other audio grabbers. It works with a technology, which reads audio CDs almost perfectly. If there are any errors that can’t be corrected, it will tell you on which time position the (possible) distortion occurred, so you could easily control it with e.g. the media player.